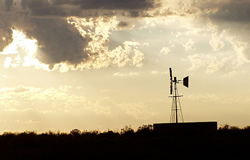 Explore the Karoo through the food and seasonal ingredients of the region. We take you on a delicious journey through the history and cultural diversity of Prince Albert and surrounds. Cooking and story-telling combine in this class with our chef. Karoo on a Plate will give the recipes and skills to recreate classic and contemporary Karoo dishes in your home. Take home the recipes and skills to produce oven-fresh brown bread, succulent lamb dishes, venison treats and a range of vegetable and dessert delights.